Ballet History Tidbits: did you know……………? The “entrechat” were invented by men in heels. One has to wonder how they accomplished this without stepping on themselves! “Entrechat” literally means “between cats” in French. What on earth does that have to do with the criss-crossing of feet during a jump? Mystery solved! The name actually comes from the Italian word “intrecciato” (meaning interlaced) that, over time, was changed because French people could not pronounce it. The first person to do 32 consecutive turns (fouéttés) on pointe was Pierina Legnani in 1896. Fanny Ellsler, the great Romantic ballerina, actually killed a man with a well - placed kick when he tried to rob her of her jewelry. “Les Sylphides”, premiering in 1907, was the first ballet ever done with no plot. Until then, all ballets had to tell a story. The use of fire has been banned from most theater and opera house stages because of the dangers presented by live flames. An early victim was Emma Livry who burned to death in 1863 when her costume caught fire on the stage of the Paris Opera. There is a very successful version of “Swan Lake” where the swans are men, not women. They do not wear tutus and portray the birds as strong and somewhat menacing, which actually is closer to the real thing. 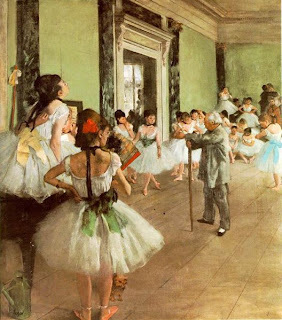 Ballet originally comes from Italy, not France. So Danca Links & Friends! An Evening With Anne Polajenko: "Dancing With The Stars"
Guest Writer Steven Demmler: "Superman's Landlord"
An Evening With Anne Polajenko: "So Danca Presents"
Varnam Inc.. Simple theme. Powered by Blogger.